At Honda of Oakland every new Honda we sell comes with our Lifetime Limited Powertrain Warranty. No extra charge, it’s absolutely free. We provide our buyers with an efficient, no hassle, no pressure, straight-forward negotiation process. Our sales staff will go above and beyond to assure you have a pleasant purchase experience. In our Service and Parts Departments you will find a team of experienced Honda employees who will assure that your Honda is getting the best care available. We have extended weekday hours and we are also open on Saturday’s. Our comfortable customer lounge is packed with amenities like, international coffee drinks, Otis Spunkmeyer muffins and cookies, HDTV, popcorn and video games. If you choose not to wait, we have 2 shuttles running all day and we welcome you to utilize them for your return home and to be picked up when your service is complete. 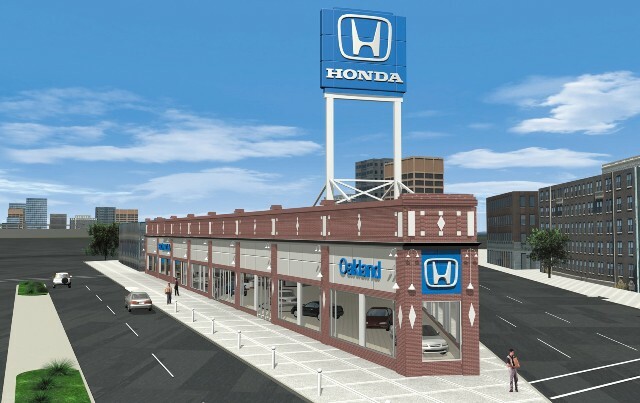 See more at HondaOakland.